In September and October we took a 12-state, 32-day RV road trip beginning in MN through IA, NE, IL, IN, KY, MO, KA, CO, NM, and culminating in AZ. 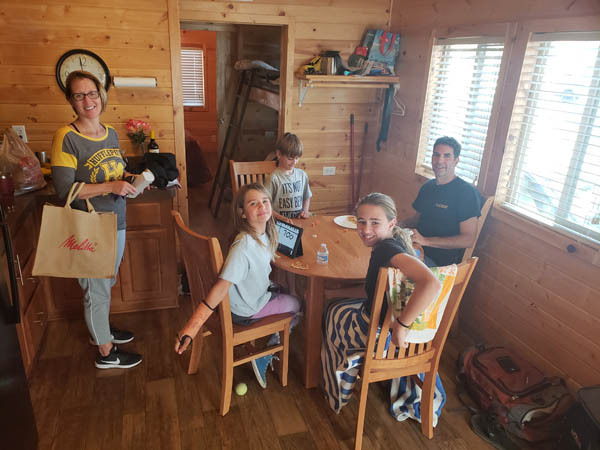 The road trip was designed to stay in touch with family and friends, many of them our age or older. One in particular, Glorine sister, Alvina from Chicago had just completed months of radiation and chemotherapy and on the road to recovery. We enjoyed cooking, dining, playing cards, and taking walks along the lake. Unfortunately, the cancer had returned and she has recently passed away. We count ourselves blessed for the opportunity to be with her on this trip. This picture was taken as we were prepping Big Brown for its winter home near Tucson. 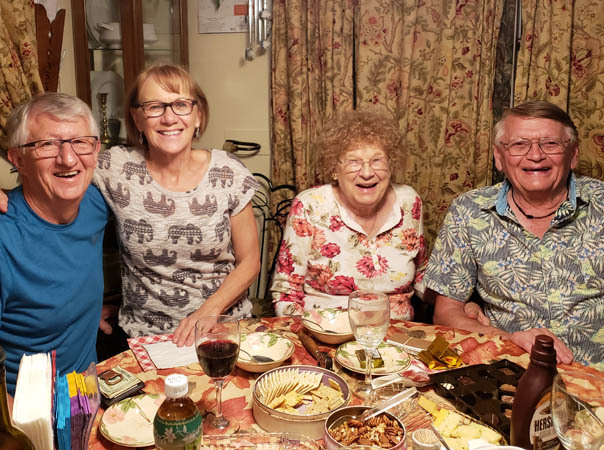 From there, we drove to California for ten days to help celebrate birthdays with Carmen’s family in Fullerton. We then flew south to Mexico to begin our 12th season in Ajijic. 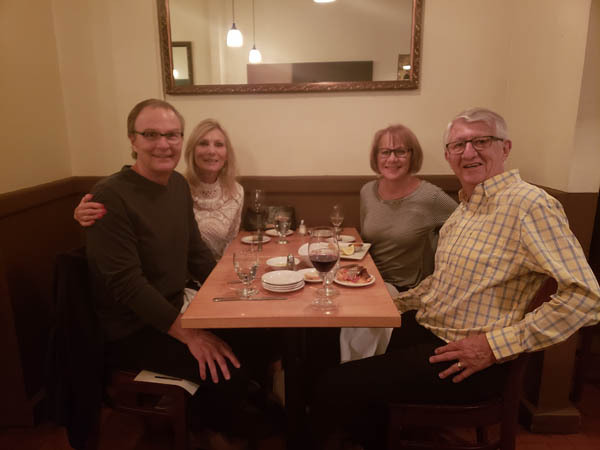 We spent time in Santa Fe with Larry's niece Susan and husband Craig, both recently retired. They read "How to Retired Happy, Wild and Free" and we talked about all the ways to use those ideas in retirement. We spent several days in Truth or Consequences, a small town along the Rio Grand. 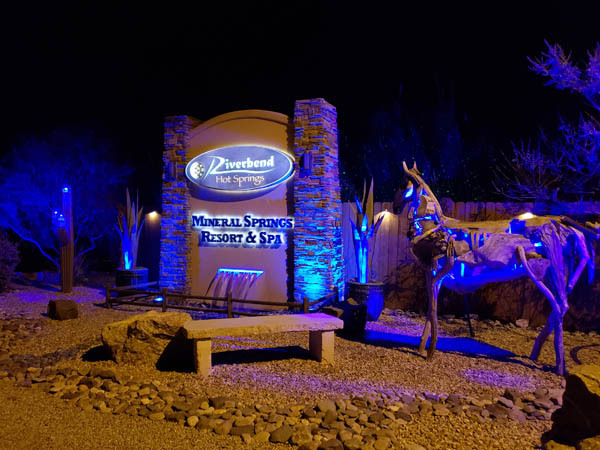 Dotted with geothermal spas, we took advantage of some much-needed down time relaxing and enjoying hot baths. 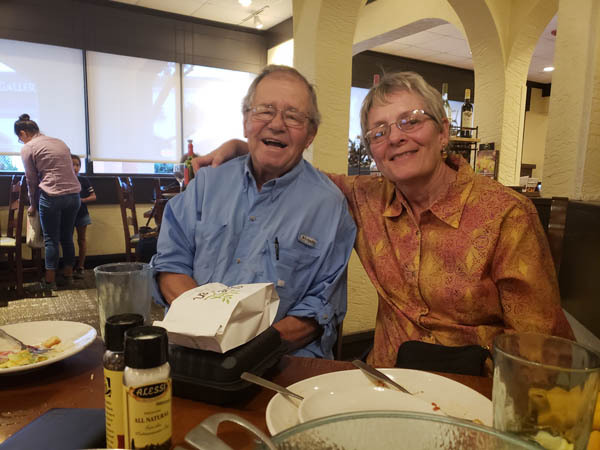 Our next stop was Pomerene, AZ to spend time with Larry's cousin Dennis and wife Nancy. 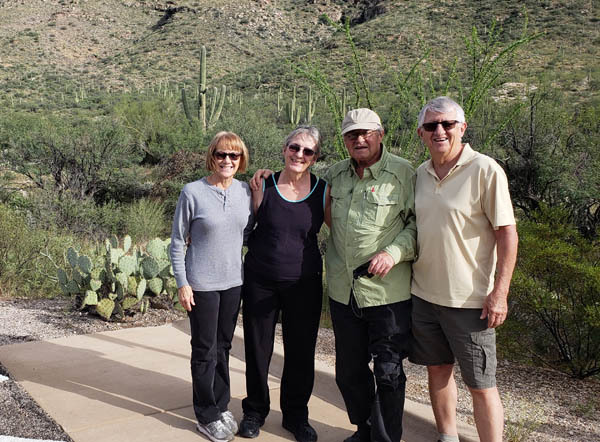 Here we had just completed a short hike along one of the scenic vistas in the Saguaro National Park near Tucson. 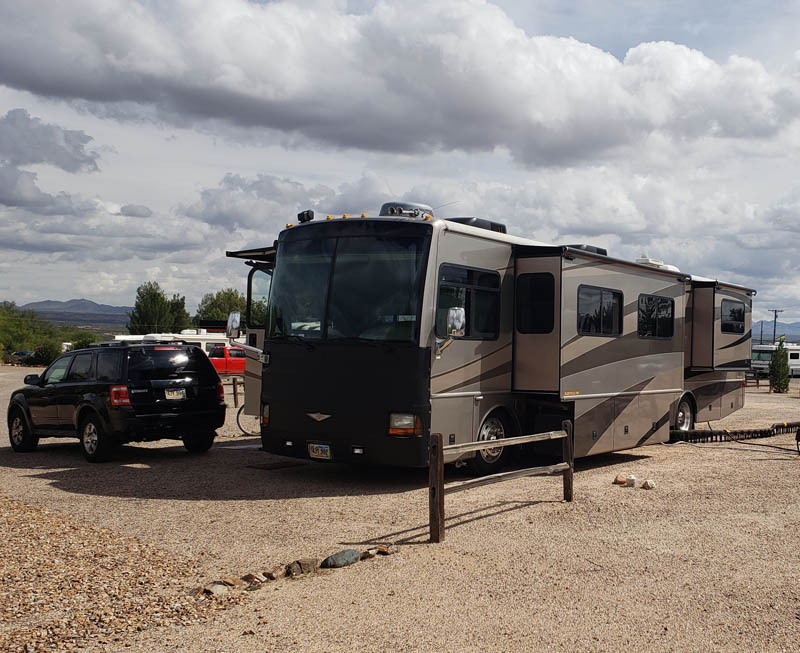 In addition to prepping the RV for storage, the week included playing cards, watching movies, playing the slots at a local casino, dining out and spending lots of time reminiscing on our many adventures together. We drove the car to San Diego to visit Larry's cousin Don and wife Elsie. After happy hour at a local pub which included a sunset view of the ocean, we spent the evening enjoying wine and lots of stories. 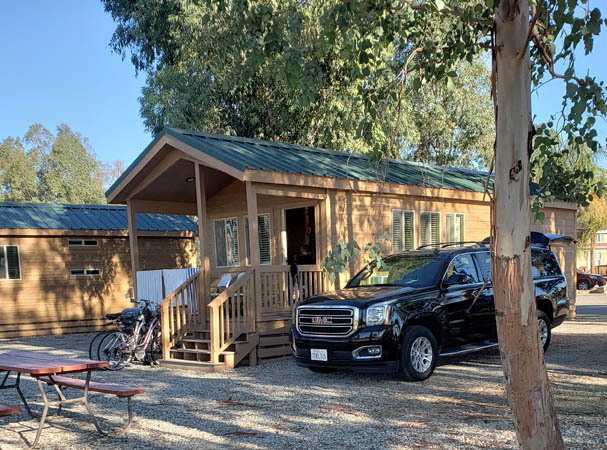 Our next stop was Wilderness Lakes RV Resort about an hour from Fullerton, where we spent the weekend with Carmen and family. The park had a swimming pool, hot tubs, pickle ball courts and club house. The cabin had a bedroom, bath, two bunks and a hide-a-bed and large enough to accommodate seven people plus Penny and Lucy. It was great for eating, sleeping and room to play cards, board games and of course our electronic devices. We were introduced to Candy Bingo, where we each got three cards. When BINGO was called, we kept our numbers. The winner turned in their winning card for a candy bar. 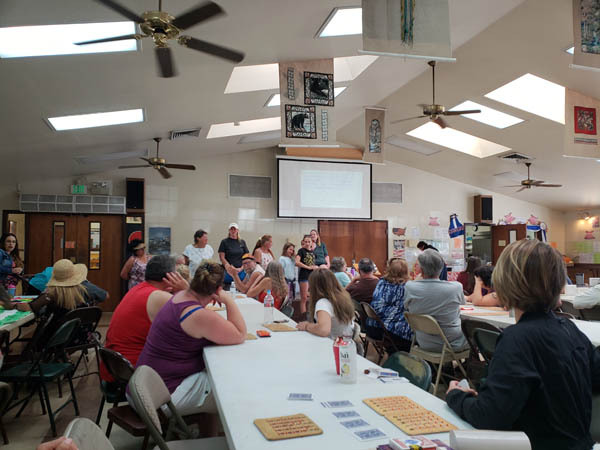 Play continued until everyone got a BINGO and candy. During our week-long stay in Fullerton, we observed a very busy routine. Here Dakota is doing homework for her college class in film. She was videoing the steps in making cupcakes. 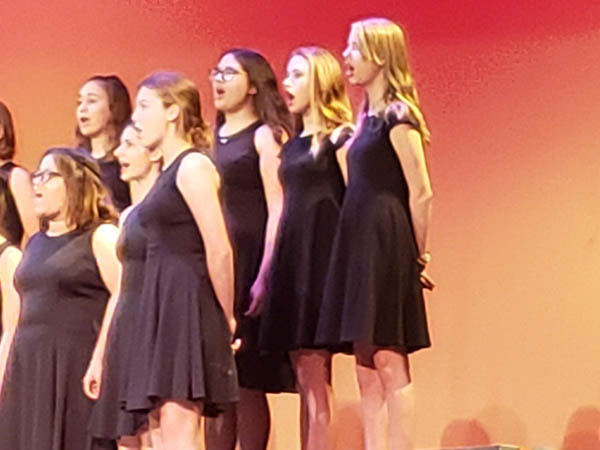 Dakota is actually an eighth grader at Ladera Visa Junior School, which is Fullerton's School of the Arts. 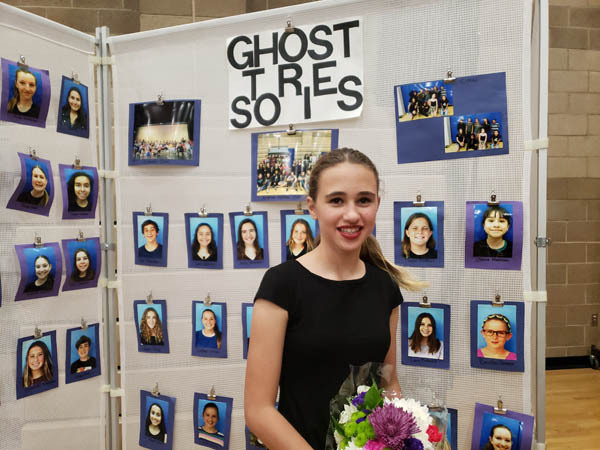 She sang in the choir during the two-night Halloween production "Ghost Stories". 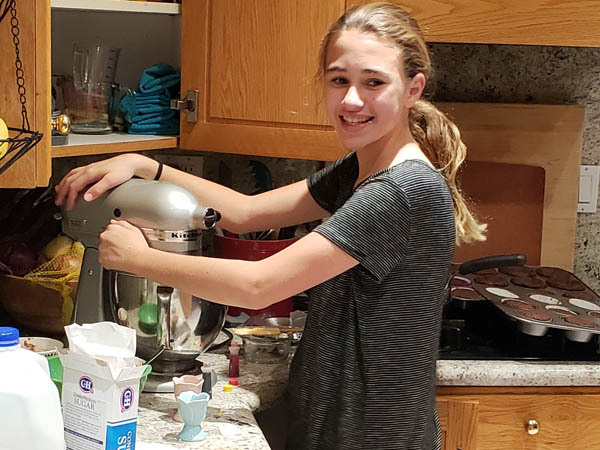 Dakota is growing into a beautiful young lady, who enjoys the arts, but is taking all advanced courses in math, science and language--and getting mostly A's in all here classes. 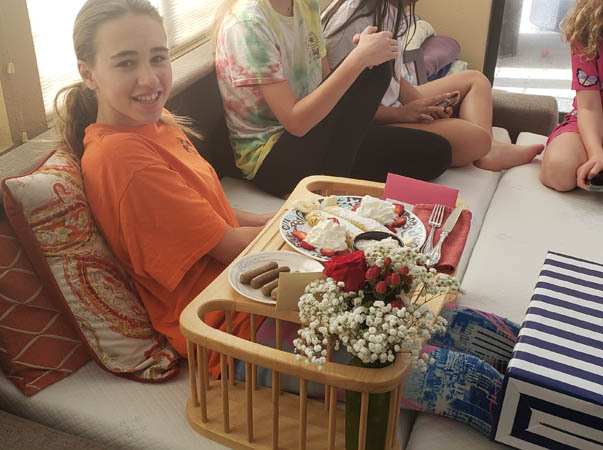 Birthdays are special and traditions continue with breakfast in bed. 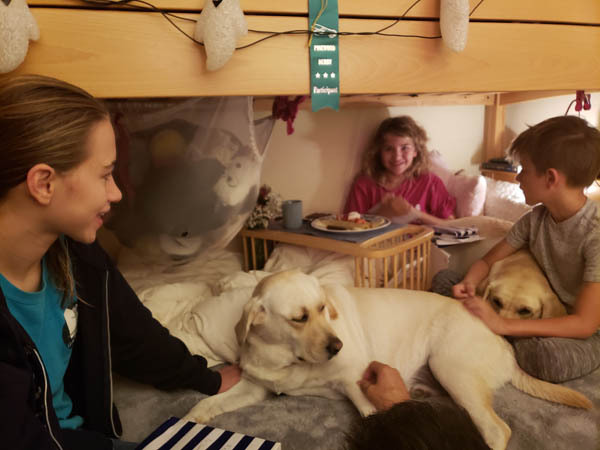 Sierra turned 10 and is joined by Dakota, Hunter, Penny and Lucy. Sierra got to open her presents while eating crêpes and sausage. Music is an important part of growing up in this family. 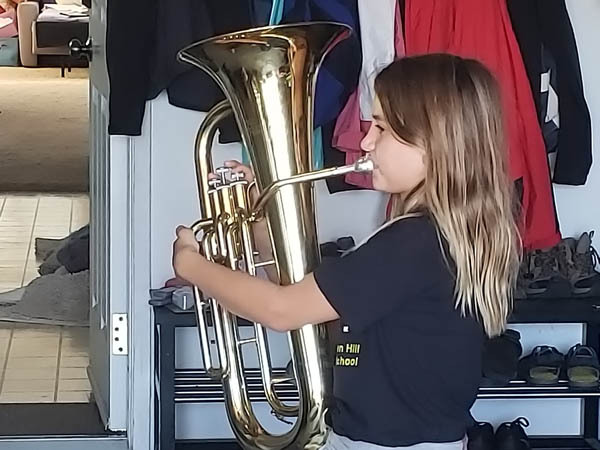 Sierra plays the Baritone Horn and does quite well. She is a 6th grader and has been enrolled in a Gifted and Talented program since she started elementary school. 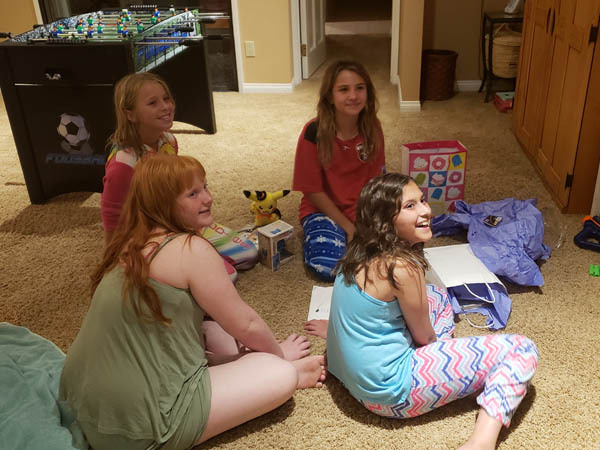 Sierra's birthday included a slumber party, where her friends got to enjoy the pool, trampoline, air hockey, ping pong, and foosball. 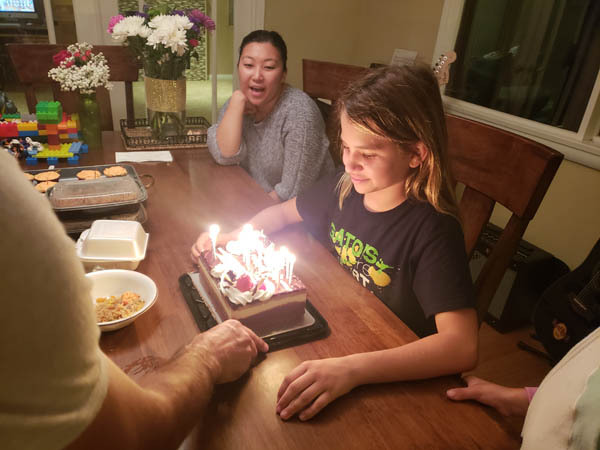 Mike put trick candles on her cake, which she blew and blew until they finally went out. 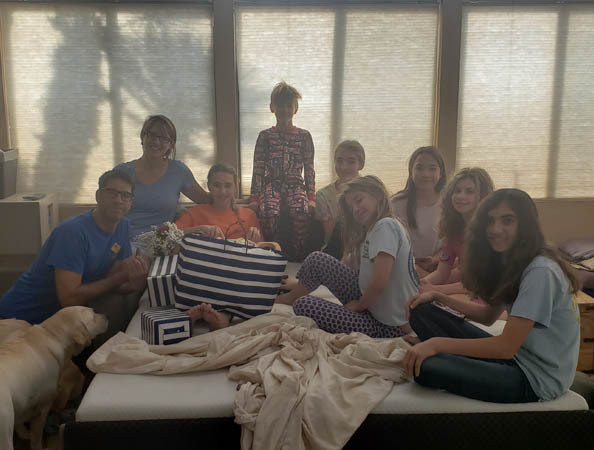 Sierra's party included a sleep over for a few of her friends. Actually, they didn't sleep but rather stayed up all night playing games and telling stories. 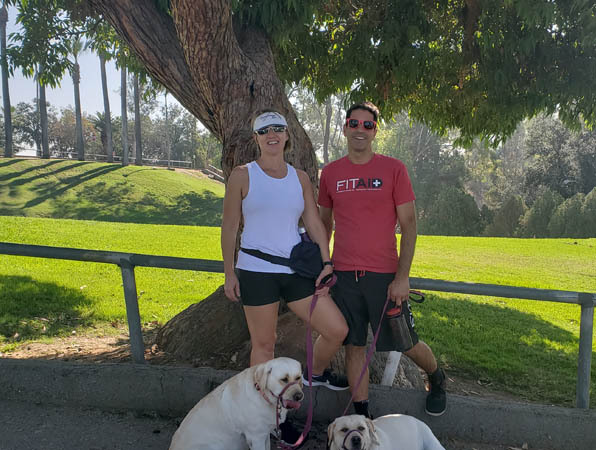 Saturday morning, we joined Carmen and Mike on a walk with the dogs through Fullerton Hills and is walking distance from their home. 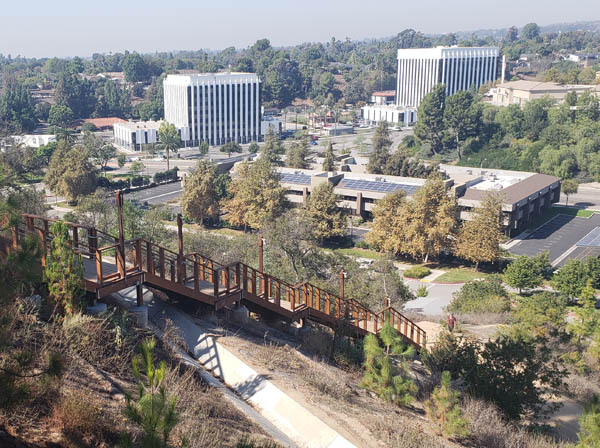 We walked and climbed three newly constructed staircases that connect two city parks. Together these stairs include 467 steps, which we climbed twice. SURPISE!! 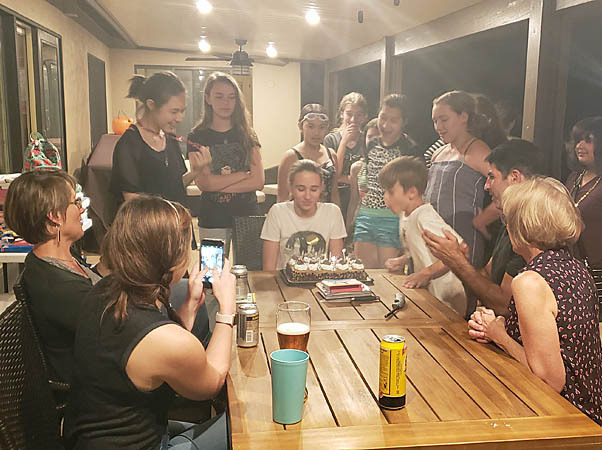 One doesn't turn 13 every day and Carmen and Mike were not going to let this day go by without making it special for Dakota. While Carmen, Dakota and two friends attended a movie, a dozen girls came to the house, hid and all shouted "surprise." Dakota was stunned and happy. 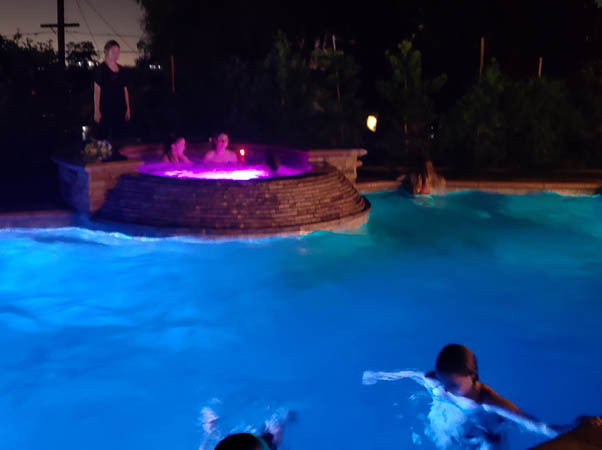 The evening included a pool party. 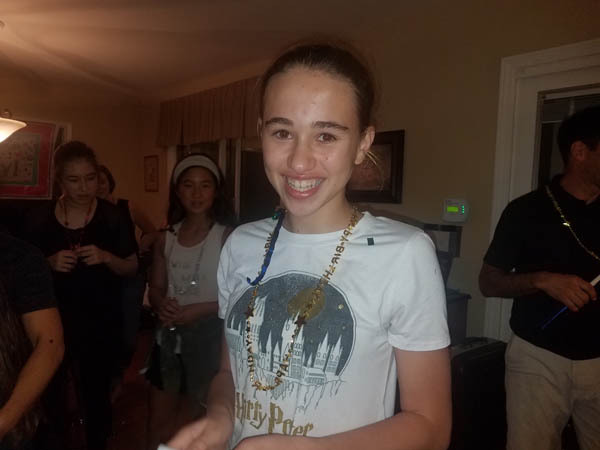 It was a special night for many of the girls who were making an adjustment to meeting new friends in junior high. The tradition of breakfast in bed continues, regardless how many overnight guests you have. What a way to end our week-long stay in California and the summer in the USA. From here, we flew to Mexico. October's web page includes October 1 through October 31.